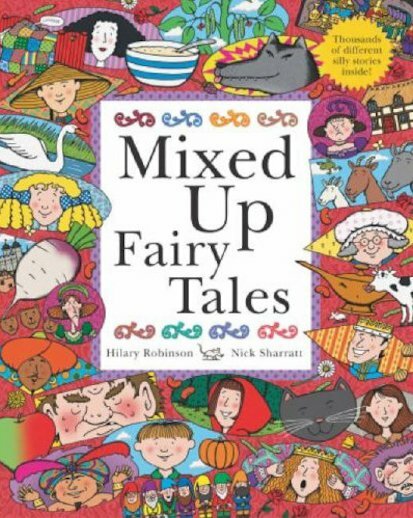 This hilarious flap book allows you to mix and match fairy tales and create your own sensible or silly stories! Great fun! What would happen if Goldilocks had two horrid stepsisters and fell asleep for a hundred years? Would she be woken by a hungry wolf or Little Red Riding Hood’s Granny? This fantastic split page book allows the reader to mix and match different combinations of fairy tales with hilarious results.